TiaraPOS App for Jewelry Estimation, Advance receipt, Credit Note, Billing. Tiara app helps improve sales performance by speeding up the Billing and Estimation process. Showcase all your latest and featured Jewelry Items on you Mobile phone. 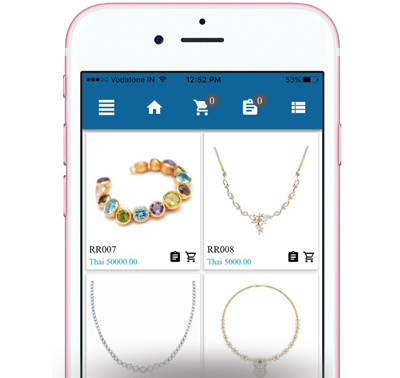 Use TiaraPOS App to show new Jewelry Items to customers and to quickly create Estimation and making bill anywhere your Business need. You do not need extra hands to manage your extra channels of sales. We'll integrate your online business to our POS App. Tiara Catalog App is a Free & smart app for Jewellery Product Catalogue, Quotes & Orders. 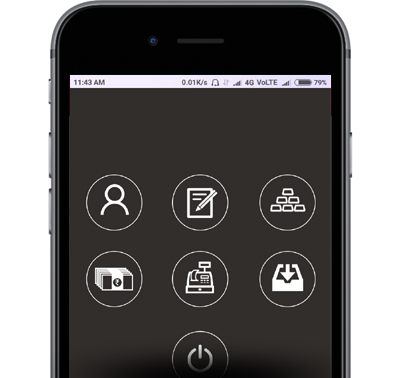 Tiara app helps improve sales performance by speeding up the ordering & Quotation process. Showcase all your latest and featured Jewelry Items on you Mobile phone. Use Tiara app to show new Jewelry Items to customers and to quickly create orders and quotes wishlist in the Jewelry Exhibition, fairs & Show, Showrooms, anywhere your Business need, even without internet. Tiara Catalog App Compatibility on iPhones, iPads, iPad Mini & Android phones.